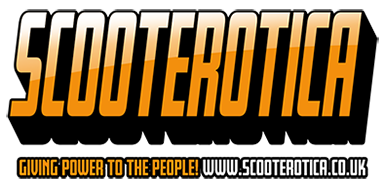 Have a service, product or something to share with the members of Scooterotica? removable key which fits onto your key ring. Comes in a satin brushed finish . Will fit wheel size of 240mm internal wheel with 225 hole centers. I've just made a similar type but bigger for spare fuel instead of having to carry a green plastic can on me rack. If you could make that bigger and it could hold 5 litres of petrol, I'd be interested. Does the cap incorporate a breather that is permenantly open. Would one suitable for horizontally mounted spares be possible? IE alternative version of the tap, or, at the end of the day, is the key mechanism really neccesary?